It’s probably rare for writers to be able to pinpoint where they first had the idea for their novel. Most ideas are a hazy smear of considerations, tiny sparks that over time build up into a fire. But I know exactly where I was when I had the idea for Girl with a Pearl Earring (in bed, looking at a poster of the painting); Falling Angels (in front of a particular grave at Highgate Cemetery); Burning Bright (at a William Blake exhibition at the Tate Gallery); Remarkable Creatures (by a display on the fossil hunter Mary Anning at the Dinosaur Museum in Dorchester). 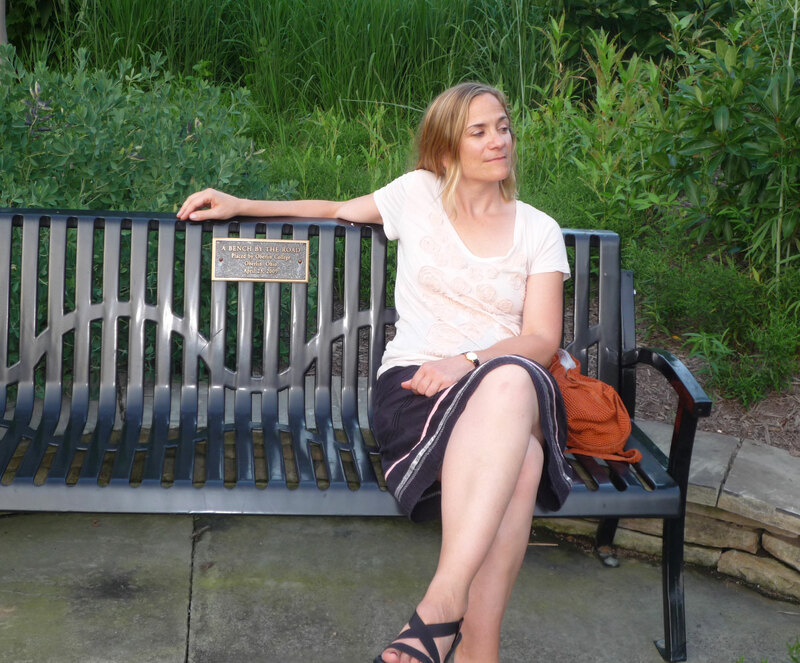 For my new novel, The Last Runaway, I am lucky enough to have a commemorative bench mark the spot where I had my idea. The bench doesn’t commemorate me, of course, but the subject matter of the book: the Underground Railroad. In April 2009 Toni Morrison unveiled the bench as part of her Bench by the Road project. In an interview she once said that there were no monuments to slavery, “not even a bench by the road.” As a result, benches are being set in places of historical significance for African Americans. I happened to be there for the unveiling in a small Ohio town called Oberlin, where I had gone to college 25 years before. Oberlin has always been an unusual place, with a radical history. Founded by religious visionaries in 1833, the town was full of abolitionists; the college was the first in the USA to admit African Americans and women as students. It was also a major stop on the “Underground Railroad” – not a line with real trains, but a nickname for a loose network of people who helped runaway slaves escape to freedom in the north. Because Ohio lay between a southern, slave-keeping state (Kentucky) and freedom (Canada), it had the most extensive Underground Railroad network in the USA, and Oberlin with its progressive reputation was a major hub. I watched Toni Morrison uncover the bench and thought, “That’s what I want to write about.” Just like that, I had the subject for my next book. Of course, it became more complicated – a few days later I brought Quakers and silence into the mix, and later still, quilts. But the first spark was by the bench. Every time I go back to Oberlin, I make sure to sit on it. Every American kid learns about the Underground Railroad, but it is less known in the rest of the world. Non-Americans are aware of the basics of American slavery: the division between North and South, Abraham Lincoln and the Civil War that finally brought it to an end; and the scar slavery left behind that still aches today with racial tension. At the start of my research I really only knew the school-girl version of the Underground Railroad. Heroines like Harriet Tubman, a slave from Maryland who escaped using the Underground Railroad, and ended up going back to help over 300 slaves to freedom. Stories of runaways hidden in barns and closets, in secret passages and compartments under wagons, dressed up as white people or passed off as servants. Most famously, the fugitive slave Eliza Harris in Uncle Tom’s Cabin crosses the frozen Ohio River by hopscotching over pieces of floating ice. Harriet Beecher Stowe apparently based this on a real event. What it took me a while to realise as I began looking into the Underground Railroad was how much the movement was exaggerated and romanticised, and why. When they found out what my subject was, lots of readers contacted me with stories of their own families’ possible involvement in the Underground Railroad. There were offers to show me tunnels and towers and crawl-spaces under houses that might have been hiding places for slaves. It became increasingly clear to me that many of these suggestions were wishful thinking. We would all like to think that in 1930s Germany, or occupied France during World War II, or 1990s Rwanda, or 19th-century Ohio, our families would have stood up to injustice. Would they, though? More often, given such a challenge, we keep our heads down and do nothing; we survive. Historians have estimated that at most, 30,000 slaves escaped north using the Underground Railroad. That is 30,000 lives made better. But compare that to the 4 million slaves counted in the 1860 census (and add to that the millions more who lived and died before then), and it becomes clear that the Underground Railroad helped only a tiny percentage of African Americans. Put another way: if all of the families of the people who say they hid runaways really had, the south would have been drained of slaves. Yet Americans need the Underground Railroad, as a positive story, a ray of light in the darkness of the slavery our country was founded on. It is the story of hope, of white people doing the right thing, and of white and black people working together, as many did to help slaves escape. I wasn’t distressed to discover the Underground Railroad was more myth than reality. As a novelist I knew it made for a more subtle, nuanced story. One day a runaway slave appears in the farmyard of a young Quaker from England. What does she do? The answer in The Last Runaway is, I hope, morally complex and thought-provoking, as well as an entertaining read. I’d like to thank Tracy very much for this wonderful informative piece which gives an enticing taste of The Last Runaway. For me historical fiction works best when the history goes hand in hand with a captivating story rather than feeling like a lesson or making the reader wish they knew the background already. 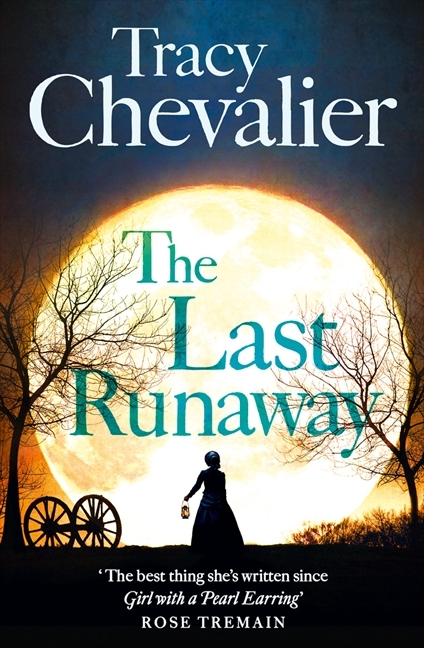 Tracy Chevalier’s gift for achieving this comes through again in The Last Runaway, which has memorable characters, an involving story with the power both to move and shock, and lovely writing (although the antiquated forms of address did grate slightly). Tracy is right that many non-Americans will be unaware of the Underground Railroad – I was, but I found the way it was brought to life in this novel very real and interesting. The same was true of the Quaker movement and the portrayal of life in the rural Midwest – I could really picture the quilts which are described so beautifully. Very enjoyable all round. If you’re American (and many of my blog readers are! ), what are your memories of learning about the Underground Railroad? And if not, did you know of it? Next week guest author Karen Campbell, author of This is where I am, one of my Hot Picks 2013, joins me to talk about writing beyond her own experience. Great post….when in Boston,had a tour of the Underground Railway network in Beacon Hill…long dark ,narrow tunnels and tiny holding rooms…it was quite unbelievable and that was only one place..looking forward to the book. I love those half buried stories about another side of history, especially on something so dark. and I’m a great fan of Tracy Chevalier so look forward to reading this book. must be great, especially when going on book tours, to be able to pinpoint exactly where and when you got the idea but I wonder how many times she had a similar thought about a book she didn’t get to write? That would be interesting to know. I have ideas all the time for things I’ll probably never get round to writing. I try to write them down just in case though.